One of the best gifts you can give the special lady in your life is the confidence that comes from knowing she looks the best she’s looked in years. While many women grow old gracefully and aren’t concerned with the sagging skin and fine lines that inevitably creep in, others turn to Botox and harsh chemically-laced products to try and roll back the years as they become conscious of the visible signs of aging. There’s a wide range of synthetic products on the market, and for those women who are conscious that time is taking its toll on her appearance, these products do a great job of turning back the hands of time. Unfortunately, while many skincare products are effective at removing the signs of aging, the damage that harmful toxins can do to your body often leads to far more damaging consequences than the fine lines and wrinkles that we’re trying to cover up in the first place. 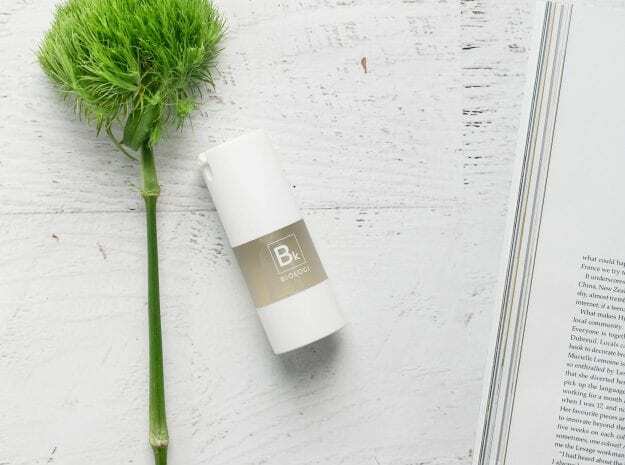 And, while we understand that a natural product isn’t everyone’s top priority when it comes to anti-aging skincare, Biologi gives you the best of both worlds. Not only will daily use of Biologi work to repair every visible sign of aging that graces a woman’s face, but it’ll also slow down the onset of future aging without causing any more damage associated with prolonged use of harsh chemicals. …without using a single chemical. Dark circles under the eyes are a common sign that someone’s age is creeping up on them. While dark circles can also stem from tiredness and dehydration, those tell-tale dark circles are also a giveaway that someone lost their way to the fountain of youth. Dark circles aren’t the skin turning dark, per se. The skin is actually thinning making the blood vessels that sit underneath the eyes more obvious. As collagen production slows down, skin becomes translucent leaving a dark and clear sign that someone’s getting older. Instead of using makeup to cover visible dark circles, Biologi works to remove the problem altogether. Bk serum has the highest content of natural vitamin C found in any product in the world. Vitamin C is an essential molecule in skincare as it stimulates collagen production to strengthen delicate skin cells. Applying Bk daily to problem areas will increase the strength, volume and elasticity of delicate cells to create a padding between blood vessels and your skin. This extra thickness will reduce the appearance of dark circles improving your confidence and saving money on expensive cover- ups to boot! Without Botox, fillers, or implants, there’s currently no stopping the appearance of fine lines and wrinkles on ladies growing old; gracefully or otherwise. There are many anti-aging products on the market which contain a harsh retinoid (vitamin A) base, but these don’t stop the problem naturally, they merely cover up the symptoms with synthetics. The natural vitamin C contained in Bk serum is rich in antioxidants which, rather than masking symptoms, actually increases collagen production to fill in fine lines and firm up the skin. When you choose natural, you’re not cancelling out any benefits or creating further problems by adding harsh chemicals to your skin. Bd serum is pure Davidon Plum extract which contains one of the most essential nutrients for skin health; Gallic acid. According to studies undertaken by PubMed, “Gallic acid …decreases dryness and wrinkle formation…and is a candidate for the prevention of…premature skin aging”. Our Bd serum is rich in Gallic acid and daily use will protect against cell damage to reduce the appearance of existing fine lines and wrinkles while preventing the appearance of new ones. Not only will daily use of Bd serum prevent premature skin aging, but it also provides a barrier to oxidative stress caused by the environment to further reducing the impact of time. Sunspots, also known as pigmentation, are another common sign of aging. As a woman gets older, prolonged exposure to the sun can cause patchy discoloured blotches on skin that can be hard to cover up with makeup and which get worse over time. Bk serum is pure Kakadu plum extract; a fruit rich in ellagic acid. When applied to the skin, ellagic acid fades discolouration and corrects uneven skin tone. Not only that, Bk hydrates and makes skin supple contributing to an overall glow. When considering sun spots and uneven skin tone, the Gallic acid in Bd serum reduces coloured pigmentation, blemishes and inflammation leading to smooth, even skin tone. Many women spend a lot of time and money on makeup that applies evenly. What they may not realise is that it’s not always the quality of the makeup that leads to a smooth appearance, it can be the quality of your skincare. Many moisturisers containing synthetic ingredients can cause rashes, underskin bumps and sensitivity. These three factors alone can leave makeup looking clumpy and uneven and rather than cover up up the fine lines, this only highlights them further. Biologi recommends: Bk serum, Bd serum, Bf serum. All our serums can be used on the face (one at a time, never layer them) to provide a smooth base for makeup. Biologi serums are free from synthetics that block pores, and they don’t leave a layer of chemicals on the top of the skin like many products can so the serums completely penetrate the deeper layers hydrating the skin to leave a smooth base for makeup and foundations. Plants never look old because their unique cellular matrix developed in nature over millions of years rejuvenates plants to keep them looking and functioning their best. The full range of Biologi serums is made from pure plant extracts that work in the bottle just as they do in nature. This means no chemicals and no water to dilute natural benefits. When you choose Biologi, you’re choosing a fully active, undiluted product that will combat the aging process exactly as it does in nature. Just as they do in the plant, Biologi serum will keep you looking your best too. Click HERE today to shop our full range of all natural serums for yourself or for the special lady in your life!